Service Area: ISD #278 (Orono) and ISD #277 (Westonka), and the surrounding areas. 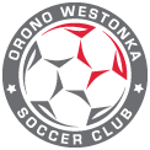 The Orono Westonka Soccer Club is committed to providing high-quality and fun youth soccer programs to families in the Orono and Westonka area. Our goal is to build sportsmanship, self-confidence and teamwork through participation in soccer. We are a non-profit organization that relies on a network of volunteers and professionals to deliver our programs. Our Recreational Soccer program provides our young players (pre-school to 4th grade) with an entry-level opportunity to learn the fundamentals of soccer and enjoy the game with their friends in a relaxed environment. It is an in-house program with parent-volunteer coaches where the focus is on fun rather than high-level competition and travel. Our Competitive Soccer program provides our U9–U18 players with a competitive soccer experience. Our program combines focused skill development with MYSA competitive league play against teams from other soccer clubs in our area.